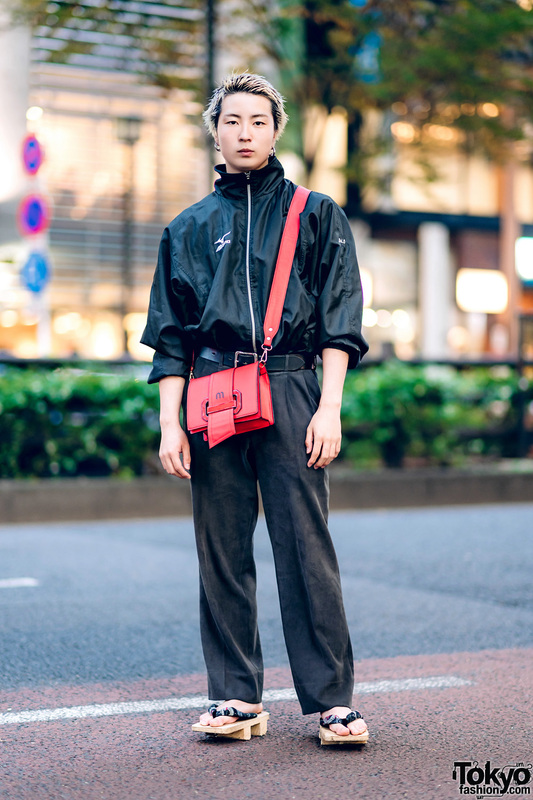 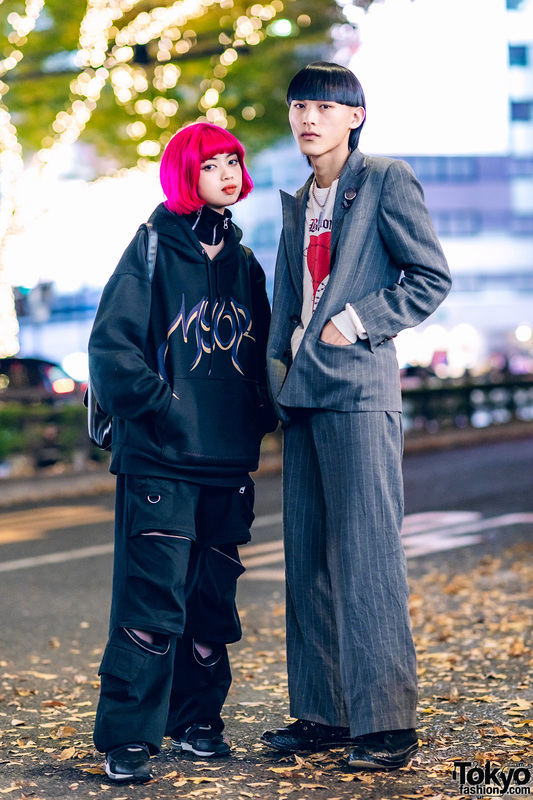 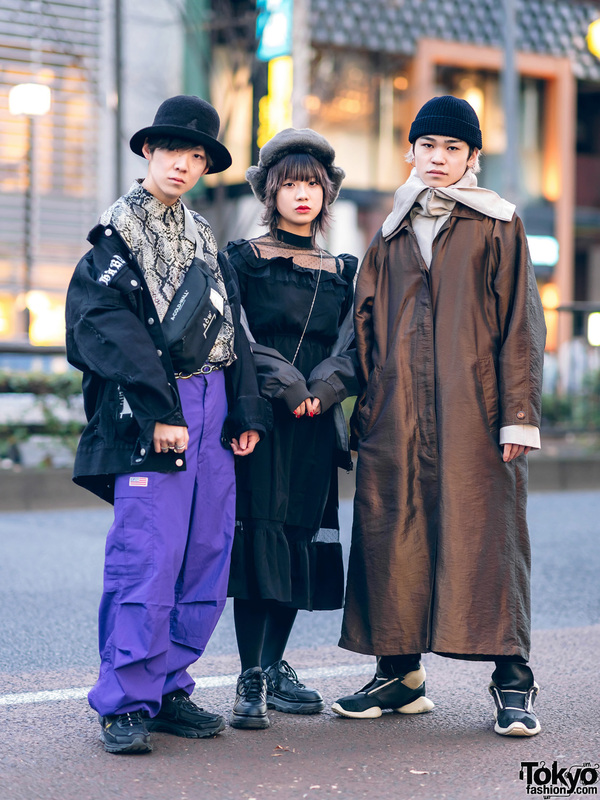 Harajuku girl wearing an oversized puffer jacket with a sweatshirt, skirt, round handbag, and heeled booties. 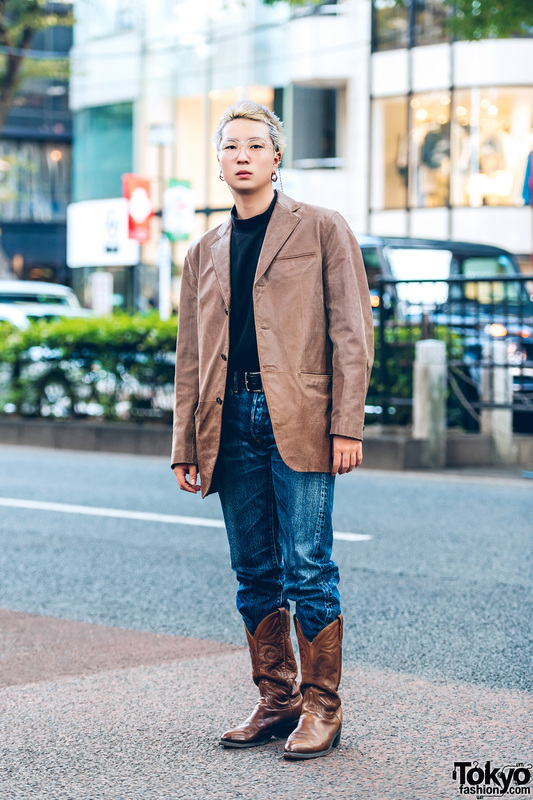 Harajuku guy wearing a vintage tan blazer and vintage brown cowboy boots. 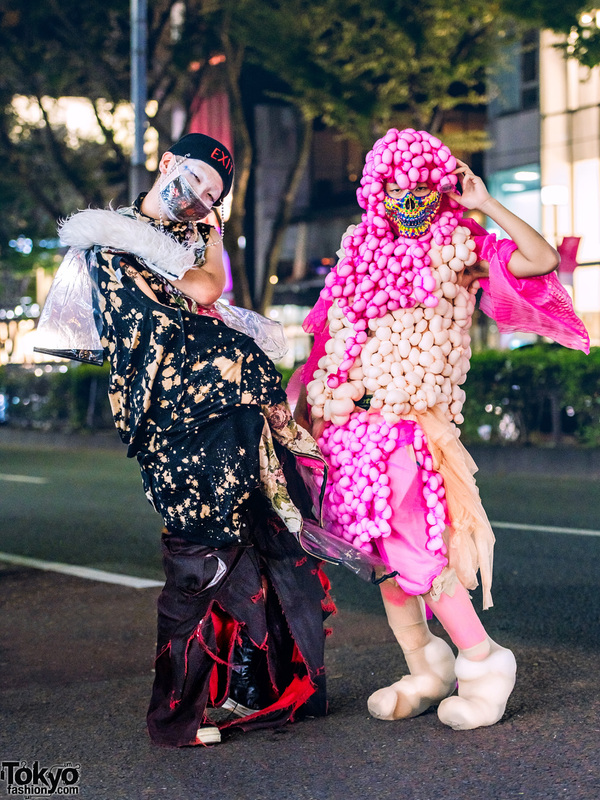 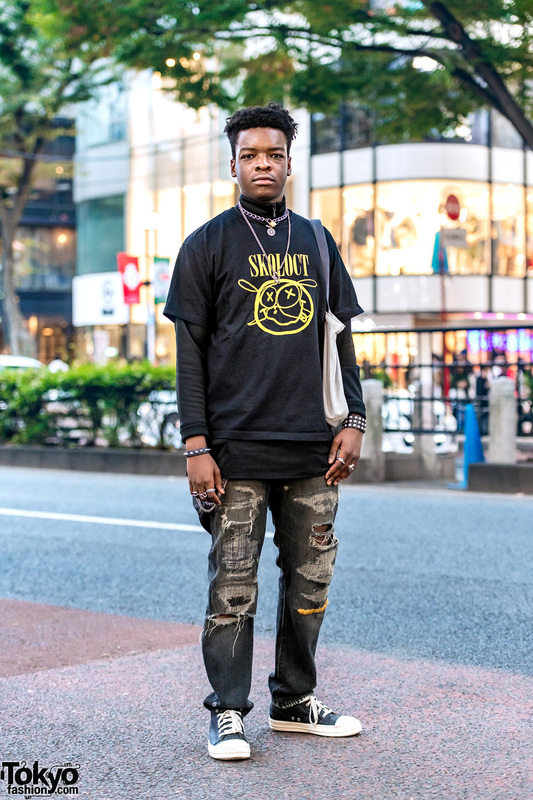 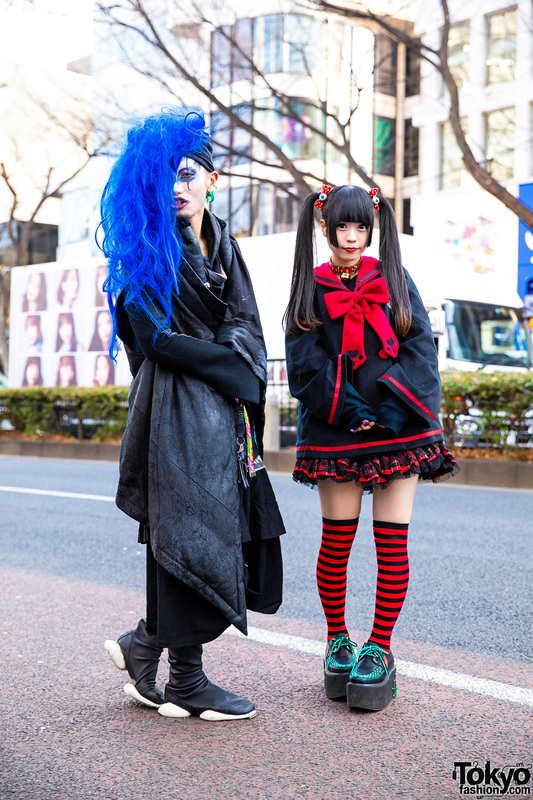 Harajuku guy wearing a black leather jacket, black pants, and black leather boots.